SAVE THE DATE! THE BRITISH ARE COMING ON JUNE 1. 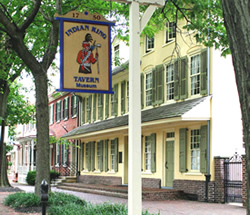 Indian King Tavern Museum’s more than 270 year-old historic building is New Jersey’s first state-owned historic site (1903). 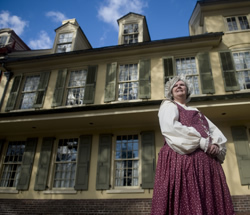 It’s where New Jersey completed the transition from colony to State passing laws revising election procedures, creating township governments, and setting up state courts. 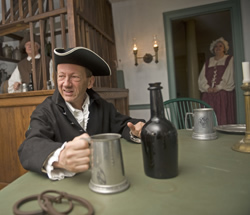 At the Indian King, the assembly passed measures imposing martial law, strengthening the militia, regulating a war economy, and providing emergency support to the Continental Army after its defeat at Brandywine. We know that more might be done with this marvelous space, if we had the resources available. Our mission is to obtain those resources so that more people can benefit from this amazing historical relic. Click image! Contribute to the Indian King Tavern when you buy form Amazon!